This Series of pieces are a commentary on human kinds relationship with nature. 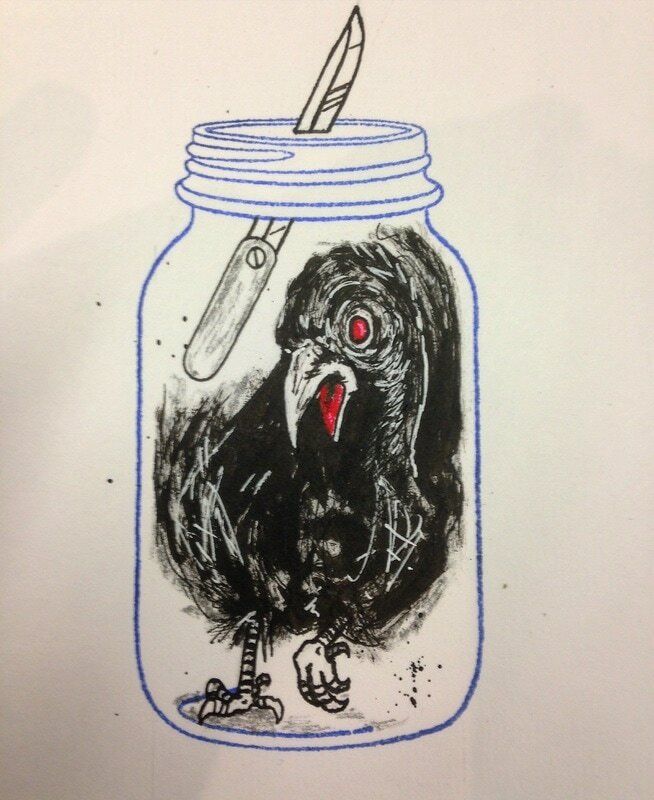 You can try to dominate and "bottle up" if you will nature, but it will in the end win. 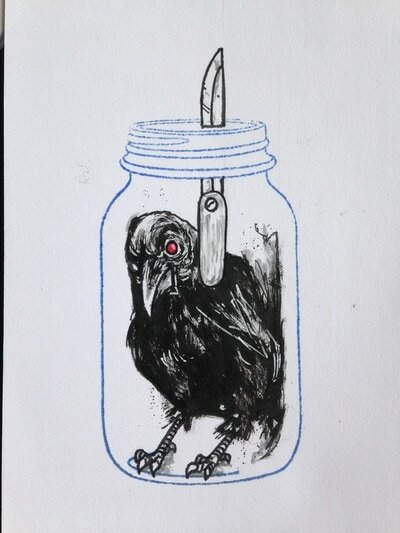 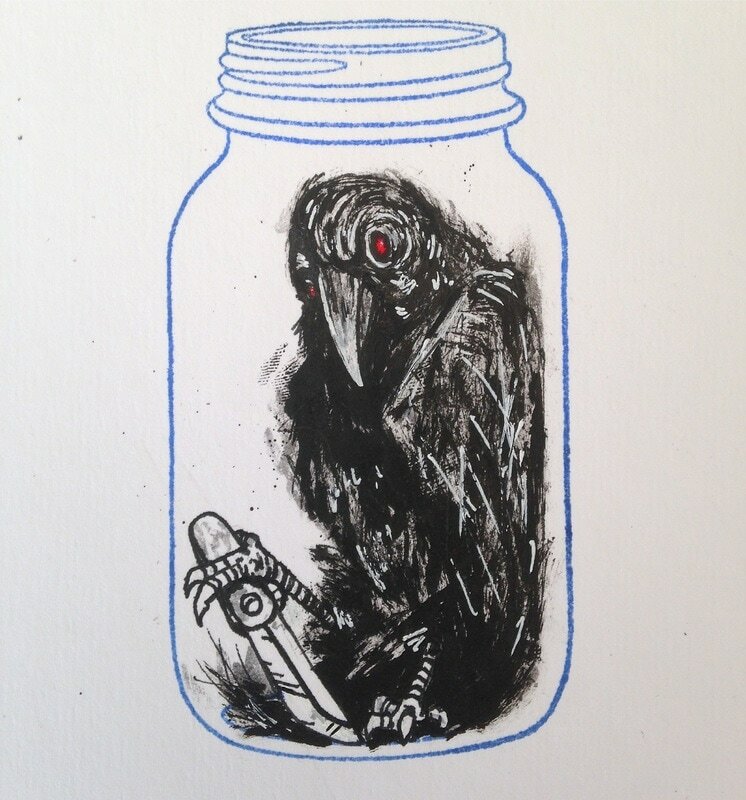 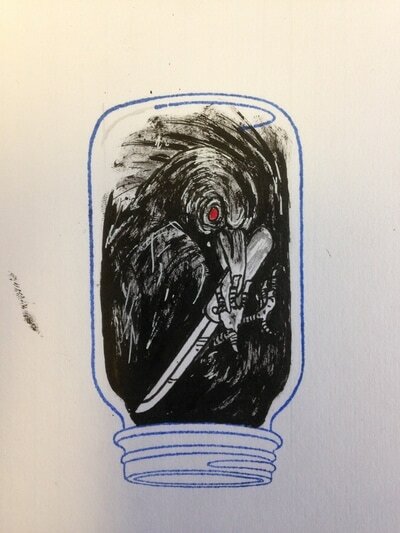 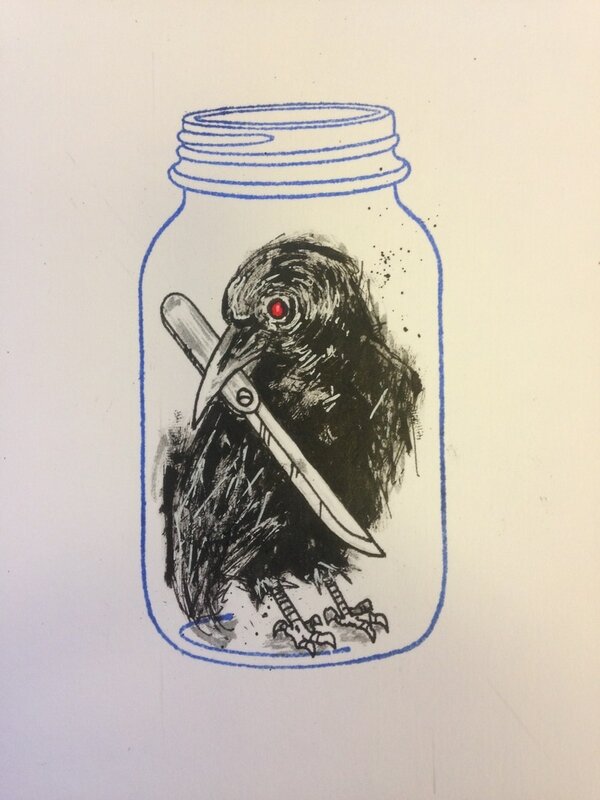 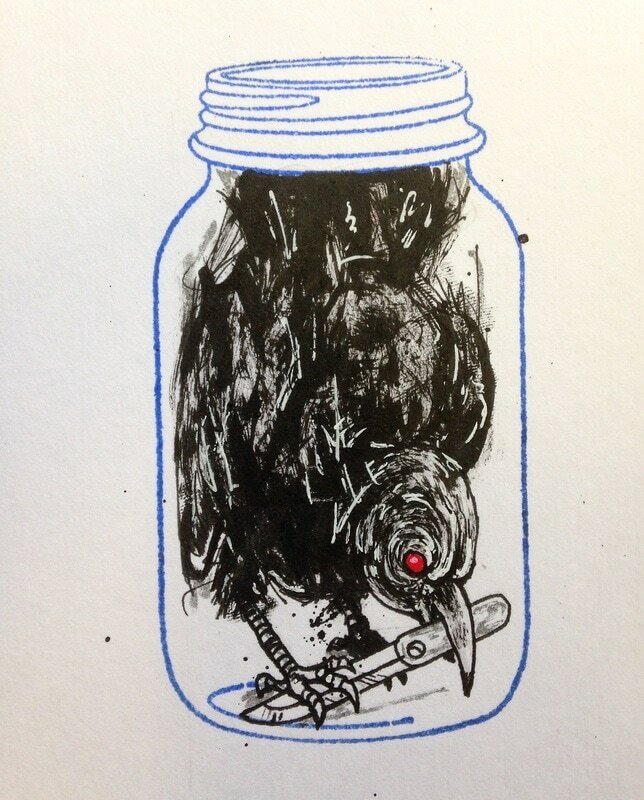 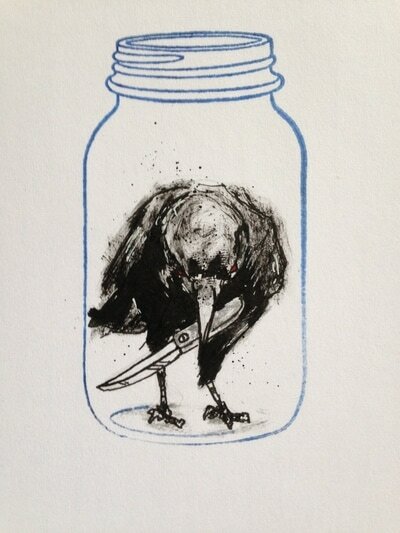 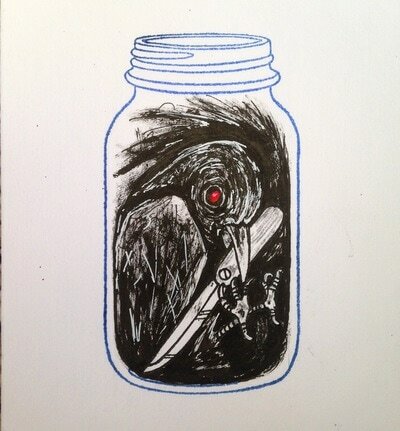 The Mason Jar image I use is actually a mass produced rubber stamp. 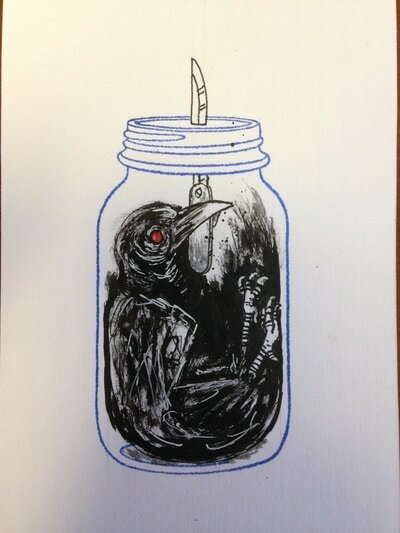 The Ravens done with Sumi inks on 5 X 7 index cards.